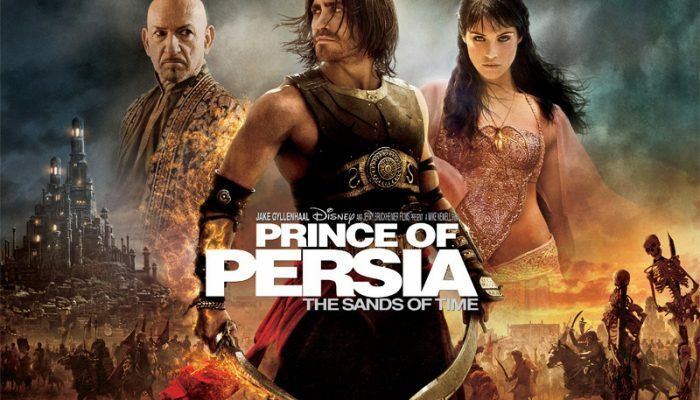 Though fairly violent by Disney standards, Prince of Persia (rent or buy it here) is nonetheless an agreeable fantasy adventure, recommended for families with older children and teenagers. Produced by Jerry Bruckheimer, who also brought us the Pirates of the Caribbean movies, Prince of Persia is not as good as the first film in that series, but superior to its sequels. It strikes a similar tone of comedy, romance, action, and supernatural fantasy, with Jake Gyllenhaal providing a dash of charm to go with his muscles and Gemma Arteron proving herself both lovely and graceful as a princess. Alfred Molina (Spiderman 2, Maverick, Raiders of the Lost Ark) is the best thing about the movie, stealing every scene he’s in as an opportunistic sheik. Think Aladdin meets Indiana Jones and you’ll get an idea of the movie’s tone. The action scenes are fantastic, the sets and clothing are exquisite. The story is…a typically middle-of-the road summer movie story, but it never bores. As for potentially objectionable content, this film is roughly comparable to the first Pirates movie in terms of violence and mild innuendo, so one can use that as a gauge. Looking for more Disney live-action adventure? Look no further than The Rocketeer! Rent or buy it here.